The Middle Miles: Gear Review: Mizuno Wave Rider 17 and GIVEAWAY! The Mizuno Wave Rider has been a mainstay in the neutral running category for as long as I can remember. Seriously, the first Rider was introduced in 1998, and I didn't start running until '99. And I'd bet there are some young'uns reading this review who are actually younger than the Rider! In an industry that seems to have remarkably high shoe model turnover, for a shoe to last that long without being discontinued or replaced, it must be a fairly successful shoe. This holds especially true for Mizuno, who currently seems to be in the process of hacking down its line, with the Elixir and Precision being consolidated into the Sayonara, the Ronin and Musha being replaced by the Hitogami, and the Nirvana and Alchemy being discontinued in favor of the Paradox. That's not to say the Rider hasn't hit any stumbling blocks, with the original Rider being a bulky nightmare nicknamed the "Kiss boot," and even the relatively recent Rider 14 getting a lot of negative backlash from longtime Rider fans. After the Rider 14 debacle, Mizuno returned to more familiar territory with the Rider 15. Two iterations later, Mizuno hasn't strayed far from that formula, introducing a familiar, yet much lighter, Mizuno Wave Rider 17. The Rider 17 is a moderate feature, moderate neutral shoe designed for daily training and high mileage. The biggest difference between the Rider 17 and Rider 15 (I skipped the 16) is that the 17 is significantly lighter (over 2oz lighter!). I brought these to my parents' house for winter break, and my dad picked them up and asked me if they were a marathon flat. Now, while my dad does some running, he's no shoe geek, and while he does have a pair of Riders in his closet, it's an older pair and it's not like he'd recognize the 17 as Riders by looking at them. I told him they were a trainer (it's easier not to get into a shoe characteristic discussion with him), and he just shook his head, tossed the shoe from hand to hand, and said, "Wow, they're light!" At under 8.8oz for a men's 9, the Rider 17 has dipped into performance trainer weight, while still having the same ride and characteristics as previous versions had as a high-mileage, everyday trainer (that's not to say that you can't put in significant mileage in a performance trainer...simply marketing and projected durability). But seriously...it's now lighter than the Launch. The Mizuno Wave Rider 17 has less toe spring than the Rider 15 (Yes, I still have my 15s. They became my official shoe of walking around campus when my ancient pair of Ghost 3s disintegrated). The last of the Rider 17 has changed a bit from the Rider 15. It's still built on a semi-curved last, but the toe has less toe-spring to it, so the entire shoe lies flatter on the ground, and the forefoot seems to have opened up slightly. It still has a narrow toebox, but it's not as narrow as that of the Rider 15. The Rider 17's upper is nice. It utilizes printed overlays, which both decrease weight and reduce potential hot spots from fabric overlays. The Rider 17 also has a fairly stiff heel counter, similar to older iterations of the shoe. Mizuno Wave Rider 17 upper utilizes printed on overlays for weight-savings and reduced risk of hot spots. The Rider 17's midsole is made up of its new U4ic rubber. This is the same rubber that's used on the previously reviewed Sayonara and Universe 5. U4ic is lighter than the AP+ that was used on previous Riders, and it's just as responsive. The Rider 17 has the same firm, responsive ride and fast transition as the Rider 15, just at a far lighter weight. While the Rider 17 seems to have a shorter Wave Plate than the Rider 15 (it doesn't seem to extend as far into the midfoot), it's still a stiff shoe. This was my biggest issue with the Rider 15...it didn't have quite enough forefoot or torsional flexibility for me, and the Rider 17 is very similar in that respect. The lack of torsional flexibility isn't surprising, since the whole idea of the Wave Plate is to act like a piece of corrugated cardboard, allowing flexibility in one direction but limiting it in others. Therefore, most of the shoe's torsional flexibility occurs anterior to the Wave Plate. As far as forefoot flex, I had thought that maybe the Rider 15 lacked forefoot flexibility due to the Flex Controllers, but those are gone from the Rider 17 and the flexibility is similar, so it's not them. The horseshoe shaped heel and rock-magnet hole is still present in the sole, but it's significantly smaller than that of the Rider 17. I haven't gotten any rocks stuck in there yet, knock on wood, but it's still there, so it's probably a matter of time. I mean it's not a huge deal, they take 2 seconds to dislodge, but it's a little bit of an annoyance. I'm expecting the Rider 17 to be a durable shoe. I get more mileage out of Mizuno's shoes than most of my other shoes, which I'm assuming is at least in part due to the fact that the plastic Wave Plate doesn't really break down the same way that EVA does. The Mizuno Wave Rider 17 is a love letter to Rider fans. It's the same quick, responsive, and firm ride that they've come to know and love, only in a far lighter package. What it won't do, however, is convert those who didn't like previous Riders. The Rider 17 is a Rider...a lighter, better Rider, but still a Rider. And why should it be any different? The Rider has a rabid fanbase, and the last time Mizuno strayed too far from the proven Rider formula (the Rider 14), Rider fans were pissed! There are a lot of Rider fans out there, as well as a lot of people who like firm neutral trainers that aren't super flexible. You know who you are, and this is Mizuno's love letter to you guys. For those who have worn the Rider in the past and weren't impressed with it, well, that's probably why Mizuno also makes the Sayonara (and Hitogami, and Inspire, etc). The Mizuno Wave Rider 17 retails for $115 and is available on Mizuno's website, as well as at retailers where Mizuno running shoes are sold. It seems to fit true to size, though as always, it's a good idea to try them on before buying if possible. Full disclosure: The Mizuno Wave Rider 17 was provided free of charge in exchange for a review. The opinions expressed in this review are mine and based on my experience, and do not reflect the opinions of Mizuno or anyone else. I have a pair of Wave Universe 4 and Wave Evo Levitas. These look really cool and I would love to win a pair! I'd love a pair of WR 17s! My 16s are great! I already love the wave riders! What a thorough review of the shoe! I've read a handful of reviews and yours was very helpful; thank you! I would love to win a pair because I have heard so much about Mizuno shoes but have never owned my own pair! Everyone seems to love them! Thanks! I would love a pair of the wave rider 17's. 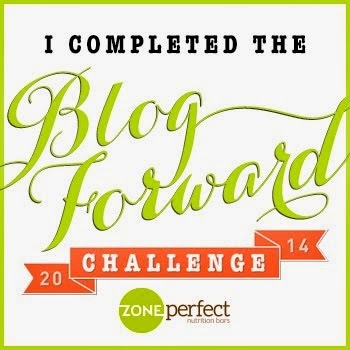 Recently, I signed up for my first 5K of 2014 and actually tried on a pair of 17s at the store over the weekend. My goal is to purchase a pair soon. I love my Mizuno Wave Riders! I just swapped to Mizuno last Christmas & have only worn Wave Riders. After trying out the Sayonara and suffering crippling shin pain, these shoes seem like the perfect alternative- they're still lightweight, neutral, Mizuno shoes, but they won't mess with my shins in any way. i would love a pair..i love mizuno wave riders!! Thank you for the review and a giveaway, love my riders 15 (my first real running shoe) and my riders 16 (own 3 pairs of them....). Can't wait to try the 17 some day! Wearing the Sayonara and have been wanting to add a more cushioned shoe to my rotation of two. Wave Rider 17 sounds like just what I'm looking for. Im a big fan of the launch (on the last miles of my 4th pair) and my connect 1st are on their way to needing replacing...these would be a perfect addition. The Mizuno Wave Riders are like that perfect pair of jeans - they fit you just right, they are always worn in and comfortable, and only when they start to get holes do you reluctantly replace them (and perhaps put the old pair in your closet as a keepsake)! Would love to give them a try! Thanks for the great review. I have never had a pair of Mizunos before but I'm super excited to try them!! This would be my first Mizuno shoe! I'd love to try them~thanks for the giveaway! Loving the look of the newest Riders and the flatter, less toe springier last! I love the Sayonara and am thinking about the WR17 for my next long run shoe, thanks for the review! I've run in the wave inspire 9's before. Do you know how this shoe compares? I've admired my husband's Mizunos, but still haven't tried them yet myself and I'm curious. Another great review, and thanks for the giveaway opportunity! I have the Sayanaras and like them but I wish they had more support for running. Maybe these do? Great review and breakdown! I've been wanting to try these out! Love my mizunos. I wear the Inspire and the Elixir. I've worn the Precision and the Rider. Just finished my first Ultra a couple of months ago, went through many pairs in training and could really use a new pair. Thanks for the opportunity! If I won, this would be my first pair of mizunos. If I win, this will be my first pair! I have heard such great things about Mizuno, I am dying to try!! Looking forward to trying the new 17. Thanks for the review! Just got a pair from RW. The "polar vortex" kept me indoors, so I've only gotten in a short dreadmill run, but my first impressions are good ones. Except for the 14 (which sucked), I'm a WR virgin. Big fan of the Precision and Elixir, too. These look like they have a much more durable outsole than the Sayonara. Nice look and design, a little too heely(?) for my taste. LOVE Mizunos and am ready for a new pair! 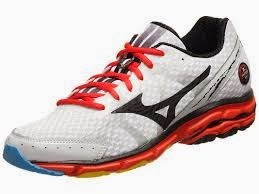 This would be my first Mizunos. They sound great! I currently wear the Rider 15s....and am way overdue to replace them! I've heard great things about the 17s and would love to try them out! Yikes! Sorry, but I am stopping at the Wave Rider 16. The 17 is completely uncomfortable. The toe box is completely different and uncomfortable, and there's just not enough support in this shoe any more. I'm hopeful my running store guys can locate some Wave Rider 16s somewhere for me, because I'll have to find a new shoe otherwise. Sorry to hear that! I'm surprised there's not enough support, because most of the changes from the 16 to the 17 were in cutting weight from the upper...maybe it doesn't hug your foot as well. Maybe the Inspire would work better. The Creation is also an option as it has a good amount of inherent support for a neutral shoe, but that shoe costs a fortune. I really like this shoe with one exception: The seams on the inside of the upper make make running sans socks a no-no. I made that mistake yesterday during a seven-miler. I know, stupid me; I could've gone back for a pair after the first mile. But those seams (I think they secure the eyelets to the upper) rubbed the hide clean off of the tops of my third and fourth toes on both feet. Why the heck didn't they go with a seamless upper like they did with the Sayonara? I haven't tried wearing the Rider without socks. I usually wear socks with my trainers and go sockless with flats. Have you tried Body Glide?